The Bible said, “Who, being in the form of God, thought it not robbery to be equal with God: But made himself of no reputation, and took on him the form of a servant, and was made in the likeness of men: And being found in fashion as a man, he humbled himself, and became obedient to death, even the death of the cross” (Phl 2:6-8). Every time when I read these scriptures, I pondered in my heart, “God is so high and great. So when He came down to earth to save man, why didn’t He choose to be born in the royal palace or a noble family and to take a lofty image? Why instead did He choose to be born into a poor carpenter’s family and appear in the form of a normal person to work among man?” Although I often pondered it over and sought the answer from others, my question was not resolved. Recently, one of my church friends came from abroad and gave me a spiritual book. 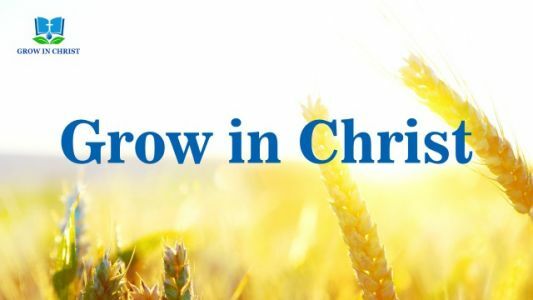 Through reading the book, it finally resolved the question that had puzzled me for years, making me understand why the Lord Jesus took on the appearance of an ordinary person to work among man. Turned out that there was a mystery in it. The book says, “Though Christ on earth is able to work on behalf of God Himself, He does not come with the intention of showing all men His image in the flesh. He does not come for all men to see Him; He comes to allow man to be led by His hand, thereby entering into the new age. The function of Christ’s flesh is for the work of God Himself, that is, for the work of God in the flesh, and not to enable man to fully understand the substance of His flesh. No matter how He works, it does not exceed that which is attainable to the flesh. No matter how He works, He does so in the flesh with a normal humanity, and does not fully reveal to man the true countenance of God. Additionally, His work in the flesh is never as supernatural or inestimable as man conceives. Even though Christ represents God Himself in the flesh and carries out in person the work that God Himself ought to do, He does not deny the existence of God in heaven, nor does He feverishly proclaim His own deeds. Rather, He humbly remains hidden within His flesh. … God becomes flesh only to complete the work of the flesh, not simply to allow all men to see Him. Rather, He lets His work affirm His identity, and allows what He reveals to attest to His substance” (“The Substance of Christ Is Obedience to the Will of the Heavenly Father”). From these words I understood: The purpose of God’s arrival among man is not to make man know how lofty his image in the flesh is. It is for the sake of His work. God wants us to know Him from His work, and understand His will from it, so that we can obtain understanding and knowledge of His work, His disposition, and His substance. Then I thought of the time when the Lord Jesus worked. Although He was ordinary and normal in appearance, His words carried authority and power. He can calm the wind and waves, feed five thousand with five loaves of bread and two fishes, and He can make the blind see, the lame walk, the dead return, and so on. In His work and preaching, He can provide man with life, show man the path of practice in a new age, teach man to confess and repent, to practice forbearance and patience, and to forgive others seventy times seven and so on. And He can look into man’s heart and expose his sins. For example, when Nathanael had notions about the parentage of the Lord Jesus, He spoke Nathanael’s pray under the fig tree. Nathanael realized that only God is able to observe the depths of man’s heart, so he immediately said that the Lord Jesus is the Son of God, the King of Israel. So the reason why the Lord Jesus was in an ordinary image to do His work is because He wants us to know the identity and status of God Himself. This is one aspect of significance of the Lord Jesus’ work among man in an ordinary image. Then I read another passage of words, “I have been incarnated in order to reveal all those who were born of Me but who have risen to defy Me. If I did not become flesh, there would be no way to reveal them (meaning those who act one way to My face and another behind My back). If I remained as a Spirit, people would worship Me in their conceptions, and would think that I am a formless and unreachable God. … If My appearance was different from everyone else then that would be troublesome—everyone would come to worship Me and understand Me through their own conceptions, and they would not be able to bear that beautiful witness for Me. So I took upon Myself the image that I have today, and it is not hard to understand at all. Everyone should come forth from their conceptions and not be tricked by Satan’s cunning schemes” (“The Ninety-first Utterance”). From this, I understood another aspect of significance of the Lord Jesus’s doing His work in the form of an ordinary person: He used this common flesh to counter the notions of man so that those who truly believed in Him and those who falsely believed, those who obeyed God and those who resisted God, were all completely revealed. This is the wondrousness and wisdom of God’s work. The Jewish chief priests, scribes, and Pharisees are an example. When they learned that the Lord Jesus was born in a poor carpenter’s family, had an ordinary appearance, and grew up in Nazareth, a small place, and that He was greatly different from the Messiah who had been prophesied to come as a king, that is to say, when these did not conform to their conceptions and imaginations and what’s more, the work of the Lord Jesus was not in accordance with the law, their nature of hating the truth was thoroughly exposed. They treated the Lord Jesus as a common man, mocked and ridiculed Him, and for the sake of protecting their own status and livelihoods, they even publicly fabricated rumors to blaspheme, slander, and condemn Him. In the end, they joined hands with the Roman government and crucified the Lord Jesus. By contrast, as for those who had true faith in God and thirst for the truth, they recognized the voice of God in the Lord Jesus’ work and words, came before God, and received the guidance and shepherding of the Lord Jesus. Take Peter for example. When he heard the way the Lord Jesus preached, the mysteries He revealed, and His requirements for man, he confirmed that these words came from God and the Lord Jesus was the coming Messiah. Thus he followed the Lord, receiving the Lord’s personal shepherding and watering, and his sins were forgiven. 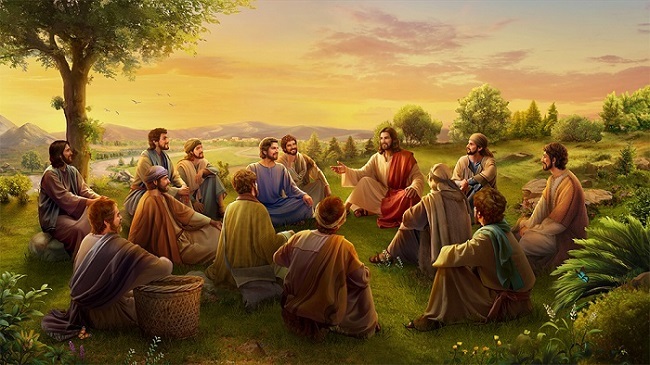 As we can see, through the work of the Lord Jesus in an ordinary flesh, He gains a group of people who sincerely believe in and follow God, and at the same time those who believe in yet oppose God are revealed and condemned. If the Lord Jesus was born noble and with a king’s appearance, or came to do His work wearing a flesh that looked admirable and imposing, if all He did matched man’s notions, then the righteous and the evil could not be revealed; the religious world and the Roman government also would not persecute Him. Then the Lord Jesus would not complete His work of crucifixion to redeem all mankind. Therefore, God’s work in an ordinary flesh is too wise and almighty. It is very full of meaning. Thank God. I understood: That God becomes flesh to work in an ordinary image has a profound significance and contains His mysteries and wisdom.